Outdoor activities include horseback riding, hiking, fishing, a spa, and just relaxing. The different packages are horseback rides at $85. per person and a guided ride on the 600 and more acres of the ranch. A Pony Express ride is not what you may think. This is for the kids. The cost is $35. per child. Your children can ride in a safe environment and learn about horses and what it takes to care for them. Horse and Buggy rides are $60. and hour. The carriage is big enough for two plus the guide who shows you around the area. Hay Rides are $100. per hour. The hay wagon will hold up to 20 with a minimum of 15 guest per ride. A special way to end the day is at the Bonfire with S’mores Bar. This event is $3. per person. Some indoor goings on are in the Great Room where guests can sit in front of one of the two fireplaces and watch a movie. A hot tub will accommodate up to 8 guests. The Romance Package at $200. includes an hour long massage, a bottle of Champagne and a fruit and chocolate tray. Other spa services include a Hot Stone Massage for 60 minutes at $110. For 90 minutes it’s $130. The Swedish Massage has three times. 30 minutes for $60., 60 minutes at $80., and 90 minutes at $100. Some nearby places to visit is the Lawrence Visitor Center, University of Kansas, among others. This is a short distance from the ranch. The Circle S has twelve rooms. These rooms all have their own name and no two are alike. Some names are Celestial Room, Paisley Room, and Fishing Room. For a more western style there is the Cowboy Room, Post Rock, and Trail Room. Sunday – Thursday most of the rooms are $150. per day. The Paisley, Polo, Celestial, and Claret rooms are $200. per day. On Friday’s and Saturday’s the Fishing, Floral, Kansas, and Cowboy rooms are $150. a day. The Trail, Blue and White, Garden, Post Rock rooms are $200. per day. The Paisley, Polo, Celestial, and Claret rooms are $250 per day. Noted that these prices are for singles and doubles. If there are more guests in the group it’s $25. per person more. The ranch is situated near Dodge City. They run longhorn cattle, about 300 head and some 50 horses on their 1,400 acre spread. 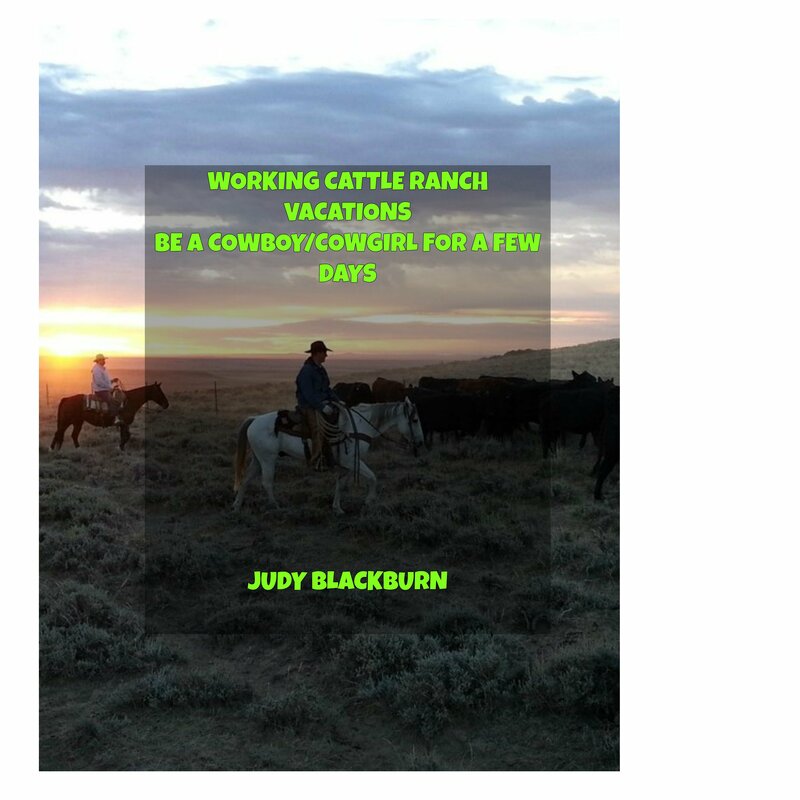 They are a real working cattle ranch with all the ropin’, ridin’, and cowboying a guest can handle. Your day can be spent on one of two cattle drives. One is available in July and September. This is a shorter drive of eleven miles. The rate is $555. The longer drive is 35 miles or so and happens in April. The cost is $875. for this experience. There are cowboy accommodations of either sleeping in a tepee or out where you can see the stars. Branding time comes in June. This cost is $265. In August it’s time for the Dodge City Days Rodeo. The cost for this event is $185. per day plus the rodeo tickets. A cowgirl getaway is offered in August at a rate of $370. This is a chance for the cowgirl at heart to learn more about riding horses, moving cows, and other fun ranch experiences. The Moore Ranch have cabins too with modern accommodations except for TV, phone, and internet. These things are available at the main house if really needed, but it would probably be just fine to be away from all that for a day or two. The cabins rent at $175. per person. Breakfast is included as well as going for a horseback ride. While at the ranch, check out the Corral Shop where guests can purchase from a line of western items such as leather covered canteens. T-shirts are available as well. This ranch is a 1890’s homestead situated in the Cottonwood River Valley in Kansas. They welcome guests to come join them in the ranch life experience of riding and working cattle. A variety of horse back riding opportunities are part of the Flying W days. The open prairie gives way to some great rides. Guests can ride along and help drive the longhorns. There is also guided tours for easier rides to just sit back in the saddle and enjoy the views. More experienced riders can ride in what is called Bring Home and Turn Out the Remuda. This is moving a herd of horses from one pasture to another. A Moonlight Ride is another choice. There are different choices of cattle drives. A cattle drive happens at several times between March and November. These drives are about 8 – 10 miles, lasting some 3 or 4 hours. Take note that these drives happen no matter what the weather so bring appropriate clothes. Cost for participating on a drive is $225. per person. There is an option to take advantage of an overnight stay before and after the drive. A lodge stay is $65. per person per night. The cabin is $65. per person per night. A Bunkhouse is $55. per person per night. Kids 5 – 18 stay for $25. per person per night. An event called Flames in the Flint Hills is scheduled for April 2, 2016. From pictures on the website they are burning off the dead grass. Some spectacular photos. This event costs $110. per person. Not only do guests get to help in lighting the fire and keep an eye on it, but there is dinner and music to enjoy, wagon and horse back rides, and learning about the Flint Hills area and in particular these burns. Thank you for stopping by my hitching post. Please leave a comment or ask a question.